With health care spending surpassing $3 trillion in 2014, extra energy has been focused on reducing unnecessary expenditures. While it is debatable how much emergency care dollars contribute to that total, reducing unnecessary emergency department visits would absolutely reduce health care’s financial burden. Various studies have found that frequent ED users, defined as patients with five or more ED visits per year, account for 3.8 to 5 percent of patients yet account for 17 to 28 percent of ED visits. This indicates that a staggering amount of resources are being focused on a small group of individuals. Many of these patients have significant chronic health concerns but are unable to navigate the health care system to appropriately meet their needs. Emergency departments across the country are exploring cost-effective ways to shift patients from emergency care to primary care, which is better equipped to handle chronic health issues. Currently, the two most popular options are care plans and case management. Emergency department care plans are designed by physicians, nurses and other health care professionals. Often, they provide a framework of care to reduce unnecessary tests and may even prohibit prescribing certain medications, such as narcotics. Case management actively integrates the patient with his or her health care. Depending on the program, a “health advocate” may help the patient establish care with a primary care physician. Additionally, social workers may help the patient find housing or address addiction or other mental health concerns. Case management has proven to be more effective than care plans in reducing the number of ED visits by frequent users but is much more resource-intensive. 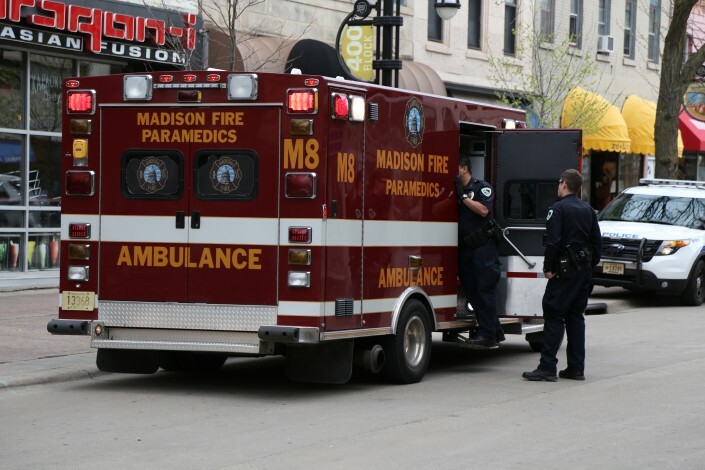 The University of Wisconsin Emergency Department started creating care plans a few years ago and is seeing positive results. In a recent study, it was determined that care plans reduced the number of ED visits, hospital admission rates and length of stay (in females). But the care plans did not shift patients toward primary care providers as was desired. The UWED has found success with care plans that will be constantly improved to provide not only efficient and low-cost care, but also, the best patient care possible. Ryan Kilian ([email protected]) is co-leader of Emergency Department Ambassador Program. EDAP is a group through which medical students at UW School of Medicine and Public Health are able to volunteer in the emergency department. The goal of EDAP is to provide patients and families with an additional resource person who can take the time to clearly convey and repeat information from physicians, nurses and other health professionals.